Thomas is one of those characters in the Bible I never really connected with. His story I knew was one placed in the Bible to show me why I shouldn’t doubt, but I never saw myself as Thomas-like. Therefore, I didn’t know how much like Thomas I was until recently when I recalled his words to Jesus after a particular doubting incident of my own. At the beginning of last summer, after my husband received a job offer in a neighboring county, Keith and I felt that we were to put our house up for sale and move. Not too long after our house went on the market, we got an interested buyer. Except the situation with this buyer was very unusual. He showed up without a realtor or an appointment to see our house. He simply walked up to our front door and rang the doorbell. I was sitting on my bed when I heard the door. I had been praying a few moments earlier about our house sale, but I didn’t expect a person to show up during the prayer session. I was scheduled to leave with my children in a short time to go to a party — and my hair and makeup were not done (so it could not have been a more inconvenient time). However, when the doorbell rang, I thought to myself, “I bet it’s someone who wants to see the house.” I remembered hearing a story by a pastor of a time when her house was for sale, and she had the unusual experience of a person driving by, stopping, and then deciding to buy the house. Without getting a message from heaven like a scroll rolled down from the clouds, I had a knowing inside that this was what was happening. Therefore, with a plain face and hair askew, I raced down the stairs and opened the door to talk to him. He stood there with his high school age daughter and explained that he had recently divorced and was looking for a house. He didn’t ask to come in, but I invited him to do so because my husband had just pulled up. He walked through the house, and I gave him my realtor’s information. He contacted her shortly after, walked through the house one more time with my realtor, and told her he was interested in putting in an offer. Our realtor was skeptical of this buyer because he didn’t have an agent and had showed up in such an unusual manner. However, she agreed to write a contract for him. After she had written the contract, she became even more skeptical as he did not sign right away but instead took several days to look into financing. In the meantime, we had another buyer express an interest in putting in an offer. The night we knew we had another interested buyer, our first buyer announced that he had his financing worked out and wanted to go forward with signing the contract. However, my agent advised holding off on letting the first buyer sign the contract until we learned what the second offer was going to be. When she gave that advice to me, I felt conflicted. I had felt all along that God had brought us the first buyer (after all, he did show up while I was praying! ), but I experienced doubt. Maybe we had just gotten this person interested in the property so that the other buyers would feel more urgency in submitting a contract, I rationalized. And, without giving the matter the proper attention it deserved and seeking an answer in prayer, I followed my realtor’s advice and waited for the second offer. When the second offer came in — at full price — I again felt uneasy, but I signed the paperwork and agreed to an inspection time for the second buyer. From a worldly standpoint, our decision to go with another offer wasn’t unusual in the real estate world. But I didn’t feel good about it the whole time. I was hesitant. I felt that we were doing the first buyer wrong by not even letting him know that we were getting another offer in. And, boy, did we get burned. The people who put in the better offer retracted it after the inspection, and our first buyer was no longer interested unless we lowered the price of the house (which we were unable to do to his specifications). Suddenly, we found ourselves with no buyers, and the Promised Land that was waiting for us on the other side of the move got snatched away. We had to let go of the house we had put under contract. This meant losing some of our earnest money and saying goodbye to the exciting prospect of walking into the blessing God had for us there. I was disappointed because we had picked out a new construction home and were going to get to pick out the colors, floorplan, and features of the new home. But all of that fell apart. From a financial standpoint, the timing of the house sale would have been perfect because we had a set amount of money in savings rapidly dwindling — and we had just enough to put down on the house we wanted to buy. And God let us walk through the consequences of my doubt. Afterwards, we did not sell our house right away. In fact, we plodded through several more months of showing our house, waiting for another offer. Because of my lack of faith, I listened to the advice of others over God’s advice. Inside, I had not trusted that God was looking out for us and had brought us a legitimate buyer. I wanted to see what the results would be before I took a chance on this person. Like Thomas, I wanted to touch the scars rather than just hear that they were there. Because God is loving and gracious, He did not leave us in the wilderness of waiting forever. I confessed my unbelief and apologized for my doubt and felt His assurance that our house was indeed going to sell. A few months after we lost both offers, we got another one in. Although we did not end up in the house we wanted initially, we were able to find another house in the same neighborhood with an identical floorplan. It certainly wasn’t easy to wait for another offer, and we suffered emotionally and financially, but God still allowed me to walk into His promises despite my unbelief. Similarly, Jesus did not leave Thomas to his doubting. Instead, He went to him, showed him His scars, and said, “Do not disbelieve, but believe” (John 20:27, ESV). Ashamed of his lack of faith in the moment, Thomas fell to the floor and exclaimed, “My Lord, and my God” (John 20:28, Benson Commentary). Even though Thomas faltered with a weak faith — Jesus did not turn away or punish Thomas but instead offered Thomas another opportunity of faith. And perhaps that kindness on the part of Jesus was even more heart-wrenching to Thomas than a sharp rebuke would have been. Only after showing him the scars did Jesus gently reprove him with the words, “Because you have seen me, you have believed; blessed are those who have not seen and yet have believed.” With His words, Jesus showed Thomas that his “demand for the evidence of the senses was a step backward, a resting on the less, not on the more, certain. His Master would have him retrace that step, and become one who rests upon the intuition of the Spirit” (Ellicott Commentary). 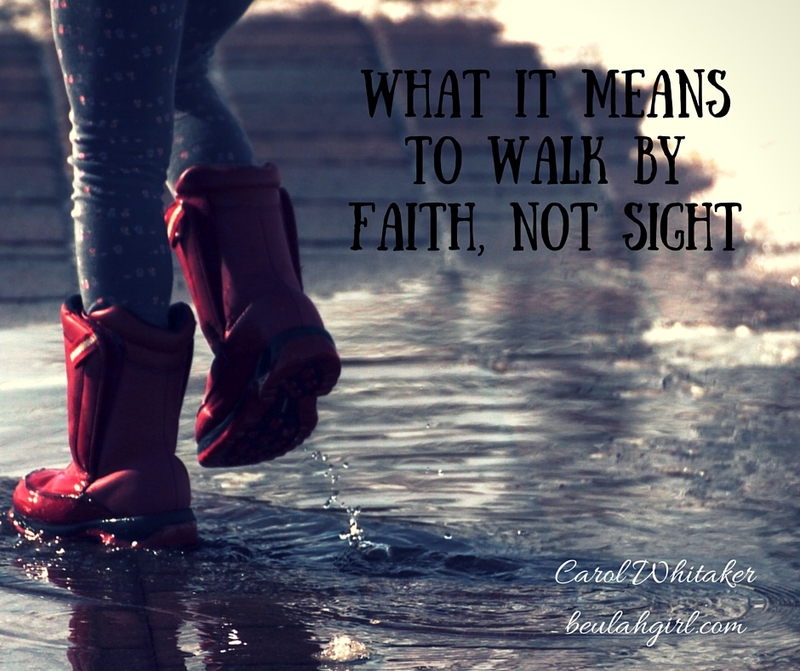 In other words, Jesus made it clear that it is better to walk by faith and not by sight (2 Corinthians 5:7). Walking by faith isn’t easy. It requires rejecting advice that appears like common sense and going with a still small voice that counters the louder voices around you. It requires stepping out and making a decision before seeing any tangible results. It may require choosing an unconventional buyer rather than a buyer who looks better on paper. But to do so is to be “blessed,” says Jesus. To embrace “the evidence of things not seen” before they are seen (Hebrews 11:1). However, even if you are hesitant and a doubter like me or Thomas, God offers you the opportunity to step away from your doubt back into belief. I pray for you that if God tells you something, go with it! Even if it appears illogical, or it is awkward and hard, just do it! He wants to bless and prosper you, but He also wants you to believe He can make it happen. And if you have missed an opportunity to step out in faith, ask God to forgive you. In His grace, ask Him how you can step out once again. However, he decided he wanted to put in for a few positions, so again he brought up the idea of possibly coaching at a different school. I shrugged again and told him to apply to the jobs if he wanted. I figured that these were opportunities that would go nowhere. I had seen it happen many times, and I rationalized that he would end up back at his same school for the next school year. But that is not what happened. Through a series of events, my husband was contacted for interviews by two of the schools he applied at. At one of the schools, he interviewed for the same position as a coaching friend of his. His friend got the position, and then did something surprising: he offered Keith the assistant position. My initial reaction when Keith brought this opportunity to my attention was that he shouldn’t take it. The move would not be a promotion, and the school was far away. There would be no sense in my husband taking that job unless we moved nearer to the school. And the school was in a place we had no interest living in. I loved our stately brick house in the neighborhood we had scoped out over a year long process. It represented everything that I had wanted at the time: status, acceptance, and safe environment for the raising of my children. And we would have to leave it all behind. And — a few months into our house listing, when I got pregnant (again, a surprise that I did not expect), I was rattled by how out of control I was with everything. I know some of you reading this may be thinking, Get over yourself! Give up control! But I can tell you, I struggled. 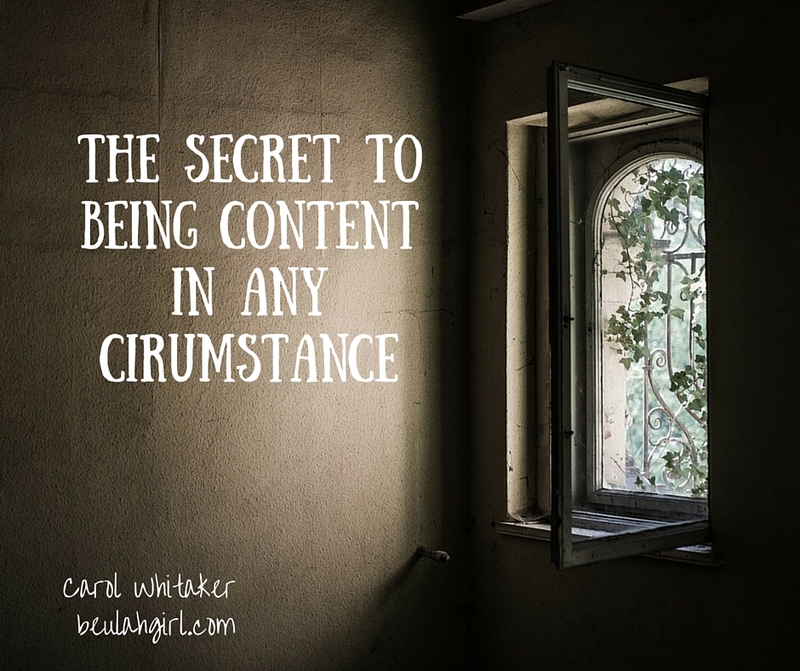 Yet, however difficult it might be for us to initially let go of something God asks of us — a ministry position, a relationship, a material possession, control — while the process of giving it up may be one we struggle with, the end result is peace and joy. 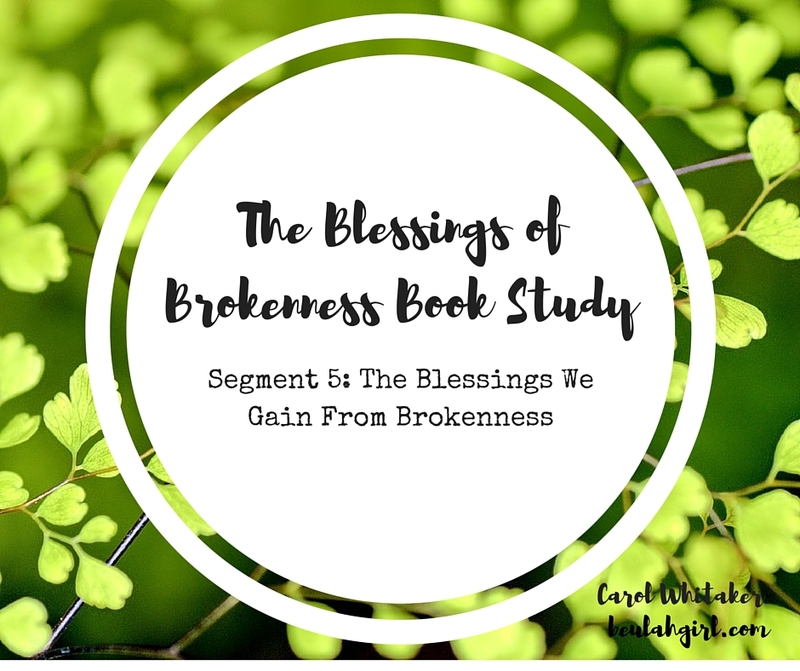 As Charles Stanley notes in chapter 9 of The Blessings of Brokenness, “When we give up something to which we are clinging and counting as more valuable than our obedience to God, he often gives us something in return that is even far more valuable or beneficial to us. At times, but not always, it is the very thing we gave up. At other times, it is something different but better” (128). We have a brand new house. Our old house was getting up there in years, and every week we were having things in the house break down that we didn’t have the money to fix. With our one-income status, we simply couldn’t afford to keep up the house in the way we would want to. We are now in a house that has new fixtures and is a new structure, so we aren’t constantly have to deal with things breaking down. I was surprised to find that I liked our surroundings. As much as I loved our old neighborhood, it was getting very crowded in the area we were in, and I longed for a little more serenity. Lately, for whatever reason, I had been missing the coastal landscape I had grown up in. I had longed for the sight for the ocean again. Though we don’t live near the ocean, we live near a large system of lakes and have one in our neighborhood. There is even a lake that you can see from the edge of our property in the land behind us. I have only mentioned material things, but the best blessing of all so far is that in moving I was released from a stressful situation where I felt like I was at a dead-end. 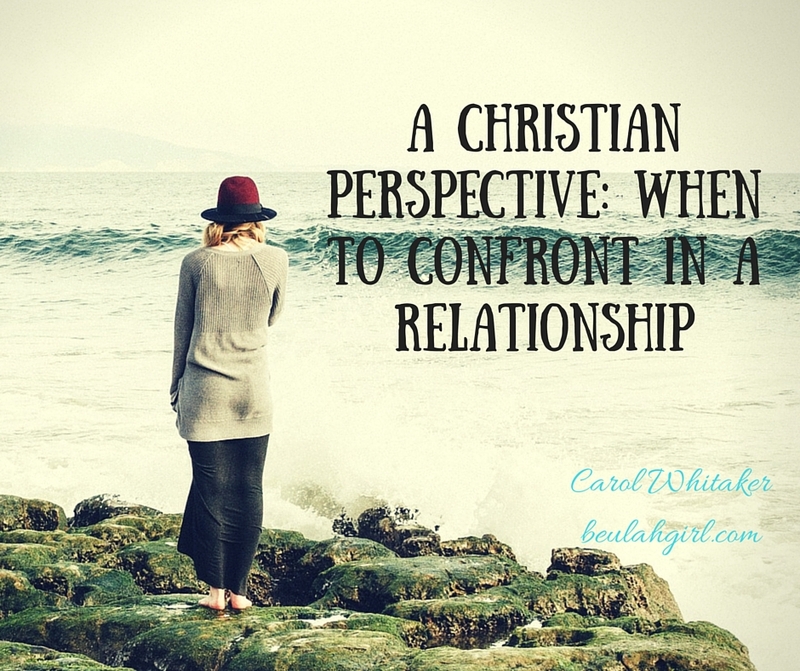 I wasn’t making gains spiritually there any longer and felt pulled down by relationships that were no longer helping to further me on the path God had for me. And we’ve been given more than the a name like New Hope to make us think that. Questions to Consider: Has God asked you to give up something in the past, and it turned out to be a decision that led to blessing in your life? Is there something He is asking you to give up now? 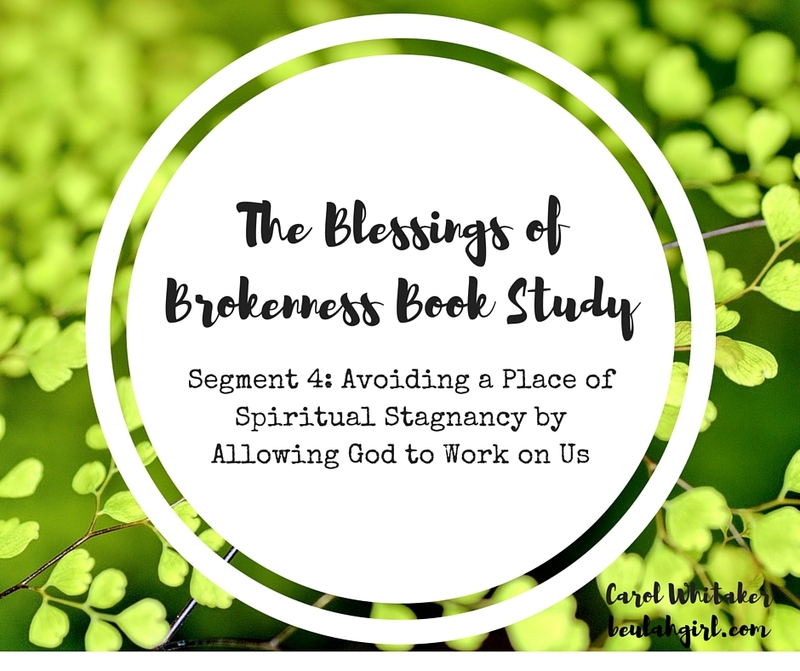 This concludes our book study on The Blessings of Brokenness: Why God Allows Us to Go Through Hard Times. We will have a live video chat over the last two chapters this Monday, July 11th @ 9 PM EST. Click the video chat link to subscribe for free or watch the replay. Thanks so much for joining us! I hope this study has ministered to you. We’d love to hear how the book has blessed you. You can leave a comment here or share your story with us through the blog contact page.